Collagen supplements are available to help boost the amount of collagen in your body, which can help with everything from your gut health to your skin. This natural protein is found in your body, but of course due to the natural aging process, you might notice much less of it as you get older. Here are some things to know about using a collagen supplement. What Causes a Loss of Collagen? First of all, you should understand that not everyone is in need of a collagen supplement. While it is good for everyone to have adequate collagen proteins in their body, if you have a well-balanced diet and are not participating in some of the unhealthy habits that cause a reduction in collagen, then it might not be an issue for you. Some things that can break down the collagen in your body include excessive sun exposure without protecting your skin, drinking heavily, smoking cigarettes, and having an imbalanced diet without a lot of nutrients. How do you know if you need collagen? 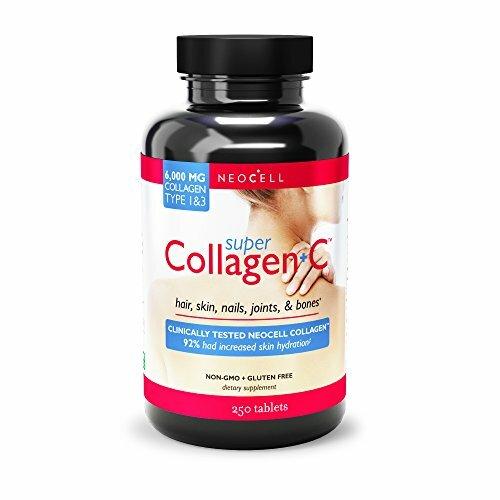 Typically, someone who is in their mid 20s or older, has premature signs of aging, general skin issues, joint pain, muscle or bone issues, or gut problems, could benefit from using a collagen supplement. It is also possible to experiment with a small dose of collagen each day, then waiting a few weeks to see if you notice any difference in how you look or feel. If you don’t, it might not be necessary for you. Eating nutrient-rich foods, especially leafy greens, citrus fruits, veggies, and wild-caught salmon. Quitting smoking and other unhealthy habits. Protecting your skin when out in the sun. If you are doing all of these things, you should be doing what you can naturally without adding in a collagen supplement. You can also start with bone broth, which also has a good amount, but you will get a lot more collagen protein by just using a powdered collagen like collagen peptides. Remember that gelatin also provides some of the same health benefits, but again, you get the highest concentrated amount with the powdered collagen supplement.